Tamino, a handsome prince lost in a distant land, is pursued by a serpent and asks the gods to save him (quartet: "Zu Hilfe! Zu Hilfe!"). He faints, and three ladies, attendants of the Queen of the Night, appear and kill the serpent. They find the unconscious prince extremely attractive, and each of them tries to convince the other two to leave. After arguing, they reluctantly decide to leave together. Tamino wakes. Papageno enters dressed as a bird. He describes his life as a bird-catcher, complaining he has no wife or girlfriend (aria: "Der Vogelfänger bin ich ja"). Tamino introduces himself to Papageno, thinking Papageno killed the serpent. Papageno happily takes the credit – claiming he strangled it with his bare hands. The three ladies suddenly reappear and place a padlock over his mouth as a warning not to lie. They give Tamino a portrait of the Queen of the Night's daughter Pamina, with whom Tamino falls instantly in love (aria: "Dies Bildnis ist bezaubernd schön" / This image is enchantingly beautiful). The arrival of the Queen of the Night. 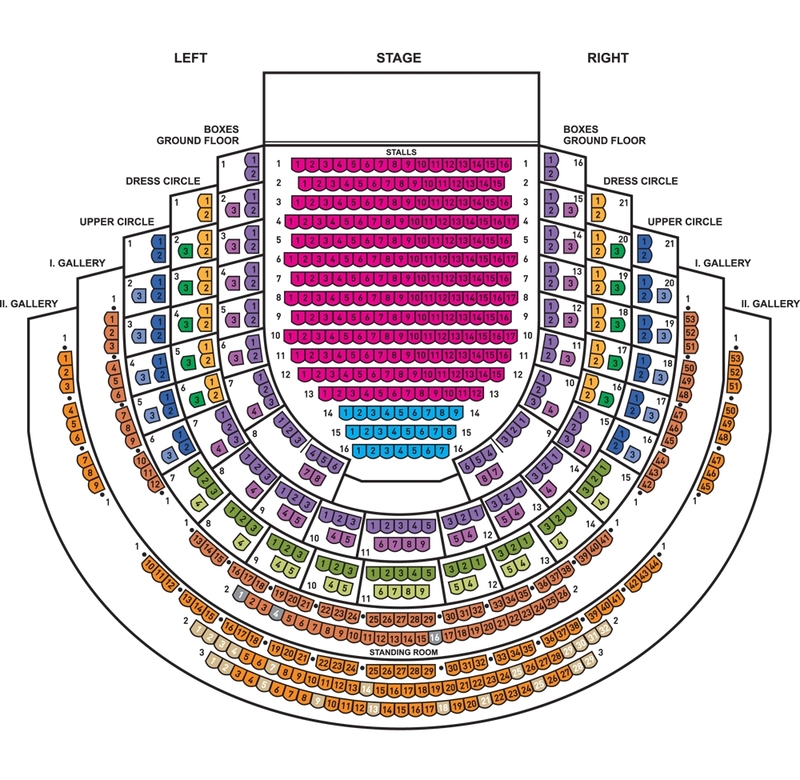 The ladies return and tell Tamino that Pamina has been captured by Sarastro, a supposedly evil sorcerer. Tamino vows to rescue Pamina. The Queen of the Night appears and promises Tamino that Pamina will be his if he rescues her from Sarastro (Recitative and aria: "O zittre nicht, mein lieber Sohn" / Oh, tremble not, my dear son!). The Queen leaves and the ladies remove the padlock from Papageno's mouth with a warning not to lie any more. They give Tamino a magic flute which has the power to change sorrow into joy. They tell Papageno to go with Tamino, and give him (Papageno) magic bells for protection. The ladies introduce three child-spirits, who will guide Tamino and Papageno to Sarastro's temple. Together Tamino and Papageno set forth (Quintet: "Hm! Hm! Hm! Hm!"). Pamina is dragged in by Sarastro's slaves, apparently having tried to escape. Monostatos, a blackamoor and chief of the slaves, orders the slaves to chain her and leave him alone with her. Papageno, sent ahead by Tamino to help find Pamina, enters (Trio: "Du feines Täubchen, nur herein!"). Monostatos and Papageno are each terrified by the other's strange appearance and both flee. Papageno returns and announces to Pamina that her mother has sent Tamino to save her. Pamina rejoices to hear that Tamino is in love with her. She offers sympathy and hope to Papageno, who longs for a wife. Together they reflect on the joys and sacred duties of marital love (duet: "Bei Männern welche Liebe fühlen"). The three child-spirits lead Tamino to Sarastro's temple, promising that if he remains patient, wise and steadfast, he will succeed in rescuing Pamina. Tamino approaches the left-hand entrance and is denied access by voices from within. The same happens when he goes to the entrance on the right. But from the entrance in the middle, an old priest appears and lets Tamino in. (The old priest is referred to as "The Speaker" in the libretto, but his role is a singing role.) He tells Tamino that Sarastro is benevolent, not evil, and that he should not trust the Queen of the Night. Tamino plays his magic flute. Animals appear and dance, enraptured, to his music. Tamino hears Papageno's pipes sounding offstage, and hurries off to find him. Papageno and Pamina enter, searching for Tamino. They are recaptured by Monostatos and his slaves. Papageno plays his magic bells, and Monostatos and his slaves begin to dance, and exit the stage, still dancing, mesmerised by the beauty of the music ("Das klinget so herrlich"). Papageno and Pamina hear the sound of Sarastro's retinue approaching. Papageno is frightened and asks Pamina what they should say. She answers that they must tell the truth. Sarastro enters, with a crowd of followers. Pamina falls at Sarastro's feet and confesses that she tried to escape because Monostatos had forced his attentions on her. Sarastro receives her kindly and assures her that he wishes only for her happiness. But he refuses to return her to her mother, whom he describes as a proud, headstrong woman, and a bad influence on those around her. Pamina, he says, must be guided by a man. Monostatos brings in Tamino. The two lovers see one another for the first time and embrace, causing indignation among Sarastro's followers. Monostatos tells Sarastro that he caught Papageno and Pamina trying to escape, and demands a reward. Sarastro, however, punishes Monostatos for his lustful behaviour toward Pamina, and sends him away. He announces that Tamino must undergo trials of wisdom in order to become worthy as Pamina's husband. The priests declare that virtue and righteousness will sanctify life and make mortals like gods ("Wenn Tugend und Gerechtigkeit"). The council of priests of Isis and Osiris, headed by Sarastro, enters to the sound of a solemn march. Sarastro tells the priests that Tamino is ready to undergo the ordeals that will lead to enlightenment. He invokes the gods Isis and Osiris, asking them to protect Tamino and Pamina (Aria: "O Isis und Osiris"). Tamino and Papageno are led in by two priests for the first trial. The two priests advise Tamino and Papageno of the dangers ahead of them, warn them of women's wiles and swear them to silence (Duet: "Bewahret euch von Weibertücken"). The three ladies appear and tempt Tamino and Papageno to speak. (Quintet: "Wie, wie, wie") Papageno cannot resist answering the ladies, but Tamino remains aloof, angrily instructing Papageno not to listen to the ladies' threats and to keep quiet. Seeing that Tamino will not speak to them, the ladies withdraw in confusion. Pamina is asleep. Monostatos approaches and gazes upon her with rapture. (Aria: "Alles fühlt der Liebe Freuden") He is about to kiss the sleeping Pamina, when the Queen of the Night appears. She gives Pamina a dagger, ordering her to kill Sarastro with it and threatening to disown her if she does not. (Aria: "Der Hölle Rache kocht in meinem Herzen" / Hell's vengeance boils in my heart). She leaves. Monostatos returns and tries to force Pamina's love by threatening to reveal the Queen's plot, but Sarastro enters and drives him off. Pamina begs Sarastro to forgive her mother and he reassures her that revenge and cruelty have no place in his domain (Aria: "In diesen heil'gen Hallen"). Tamino and Papageno are led in by priests, who remind them that they must remain silent. Papageno complains of thirst. An old woman enters and offers Papageno a cup of water. He drinks and teasingly asks whether she has a boyfriend. She replies that she does and that his name is Papageno. She disappears as Papageno asks for her name, and the three child-spirits bring in food, the magic flute, and the bells, sent from Sarastro. Tamino begins to play the flute, which summons Pamina. She tries to speak with him, but Tamino, bound by his vow of silence, cannot answer her, and Pamina begins to believe that he no longer loves her. (Aria: "Ach, ich fühl's, es ist verschwunden") She leaves in despair. The priests celebrate Tamino's successes so far, and pray that he will succeed and become worthy of their order (Chorus: "O Isis und Osiris"). Pamina is brought in and Sarastro instructs Pamina and Tamino to bid each other farewell before the greater trials ahead. (Trio: Sarastro, Pamina, Tamino – "Soll ich dich, Teurer, nicht mehr sehn?" Note: In order to preserve the continuity of Pamina's suicidal feelings, this trio is sometimes performed earlier in act 2, preceding or immediately following Sarastro's aria "O Isis und Osiris".) They exit and Papageno enters. The priests grant his request for a glass of wine and he expresses his desire for a wife. (Aria, Papageno: "Ein Mädchen oder Weibchen"). The elderly woman reappears and warns him that unless he immediately promises to marry her, he will be imprisoned forever. When Papageno promises to love her faithfully (muttering that he will only do this until something better comes along), she is transformed into the young and pretty Papagena. Papageno rushes to embrace her, but the priests drive him back, telling him that he is not yet worthy of her. The three child-spirits hail the dawn. They observe Pamina, who is contemplating suicide because she believes Tamino has abandoned her. The child-spirits restrain her and reassure her of Tamino's love. (Quartet: "Bald prangt, den Morgen zu verkünden"). Two men in armor lead in Tamino. They recite one of the formal creeds of Isis and Osiris, promising enlightenment to those who successfully overcome the fear of death ("Der, welcher wandert diese Strasse voll Beschwerden"). This recitation takes the musical form of a Baroque chorale prelude, to the tune of Martin Luther's hymn "Ach Gott, vom Himmel sieh darein" (Oh God, look down from heaven). Tamino declares that he is ready to be tested. Pamina calls to him from offstage. The men in armour assure him that the trial by silence is over and he is free to speak with her. Pamina enters and declares her intention to undergo the remaining trials with him. She hands him the magic flute to help them through the trials ("Tamino mein, o welch ein Glück!"). Protected by the music of the magic flute, they pass unscathed through chambers of fire and water. Offstage, the priests hail their triumph and invite the couple to enter the temple. Papageno despairs at having lost Papagena and decides to hang himself (Aria/Quartet: "Papagena! Papagena! Papagena!") The three child-spirits appear and stop him. They advise him to play his magic bells to summon Papagena. She appears and, united, the happy couple stutter in astonishment. They plan their future and dream of the many children they will have together (Duet: "Pa … pa … pa ..."). The traitorous Monostatos appears with the Queen of the Night and her three ladies. They plot to destroy the temple ("Nur stille, stille") and the Queen confirms that she has promised her daughter Pamina to Monostatos. But before the conspirators can enter the temple, they are magically cast out into eternal night. Sarastro announces the sun's triumph over the night. Everyone praises the courage of Tamino and Pamina, gives thanks to Isis and Osiris and hails the dawn of a new era of wisdom and brotherhood. The Estates Theatre is one of the most beautiful historical theatre buildings in Europe. It has been part of the National Theatre since 1920. The Opera, Drama and Ballet ensembles give repertory performances at the Estates Theatre. The Estates Theatre is one of the most beautiful historic theatre buildings in Europe. Its construction was initiated by the enlightened aristocrat František Antonín Count Nostitz Rieneck, led by the desire to aggrandise his native city as well as the souls of its inhabitants. The construction lasted less than two years and the Theatre was opened in 1783. 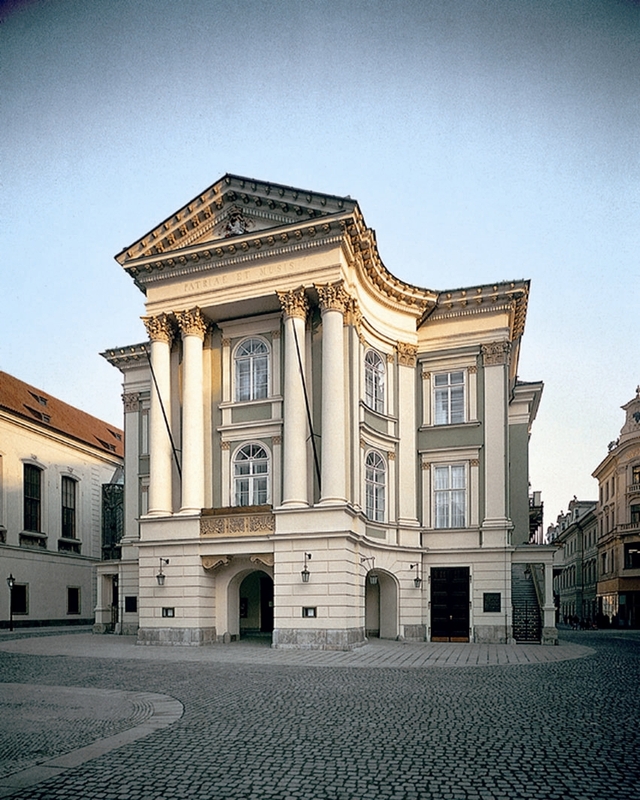 This project, extremely important for the Prague of the time, was in keeping with the zeitgeist of the late 18th century, a time when national theatres were being built at European courts, royal seats and cultural centres in the spirit of the Enlightenment idea that a generally accessible theatre is a moral institution demonstrating the cultural level of the nation. The first, sporadic Czech-language performances took place in 1785. From 1812 onwards there were regular Sunday and holiday matinees. At that time, these performances became to a certain degree a political matter too. 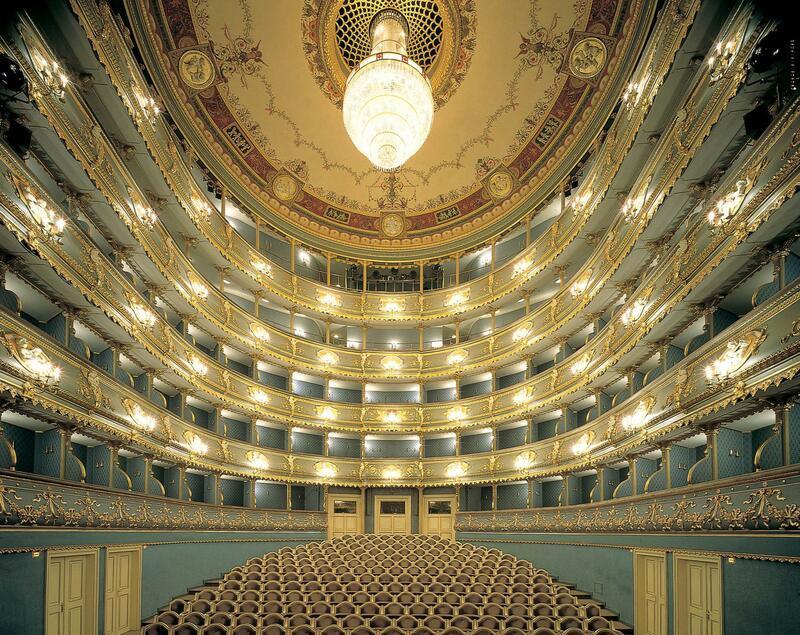 Thus arising in the difficult years following the failed revolution in 1848 was the idea of a Czech National Theatre. From there, walk to the Estates Theatre along Národní street, then 28. října street, turn left on to Na Můstku street and right to Rytířská street. Kotva department store (Revoluční 1/655, Prague 1), then walk along Králodvorská street to Ovocný trh. Palladium department store (Na Poříčí 1079/3a, Prague 1), then walk along Králodvorská street to Ovocný trh, or to the Powder Gate through Celetná street to Ovocný trh. By daytime trams Nos. 6, 9, 18 and 22 or night trams Nos. 53, 57, 58 and 59 to the stop “Národní třída”, then by foot along Národní street, then 28. října street, turn left to Na Můstku street and right to Rytířská street. By daytime trams Nos. 5, 8, 14 and 26 or night trams Nos. 51, 54 and 56 to the stop “Náměstí Republiky”, then on foot around the Municipal House to the Powder Gate, on Celetná street to Ovocný trh. By daytime trams Nos. 3, 9, 14, 24 or night trams Nos. 52, 54, 55, 56 and 58 to the stop “Jindřišská”, then on foot along Nekázanka / Panská streets, turn left to Na Příkopě street and then right to Havířská street (from Na Příkopě street you can also walk through the Myslbek arcade). To the station “Můstek”, lines A and B (green and yellow), then on foot through Na Můstku street and right to Rytířská street.